The labelling machine should be able to detect the length of the labels and also the gap between two labels. Once you feed the length and size of the hologram label, the labelling machine should work without any human interference. The speed of the labelling machine should suit to your industrial production requirements. The labelling machine you choose should be user friendly, robust and incurring low maintenance costs. No matter what your product is, if you have a right security seal labelling machine for applying holograms to it, you can easily differentiate your product from other competitors’ products. Just make sure that the labelling machine you purchase is cost efficient and sophisticated enough helping you to achieve all your goals related to product packaging. 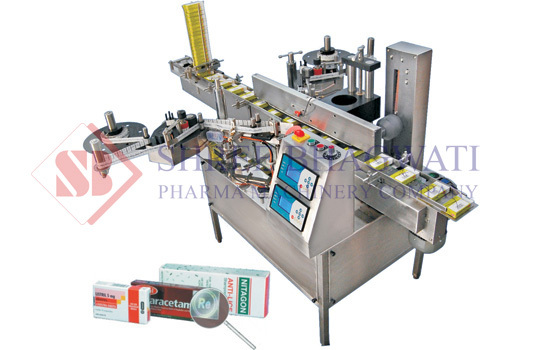 For more details on security seal labeling machine and Hologram Labeling Machine, visit https://www.bhagwatilabeling.com/products/hologram-applicator-automatic-hologram-sticker-labelling-machine/ This article has been written by Arjun Rao, Director of Shree Bhagwati Labelling Technologies.